….today, this very moment. Lets do something, take some action, make a change, make things better. Sign a petition, share a page, talk about an issue, do something kind. Take 5 minutes and make a real difference in the world. You can make a change, you can make a difference, with one action. On the 7th July 2017, more than 120 countries agreed to an historic United Nations treaty to ban nuclear weapons. The treaty follows decades of grassroots campaigning across the world. CND has been calling for a global ban on nuclear weapons since its founding in 1958 and we are delighted at the development. More than 130 countries took part in the first round of discussions, with many citing the previous prohibitions achieved on chemical weapons, biological weapons and cluster munitions. A child in Yemen dies every ten minutes. 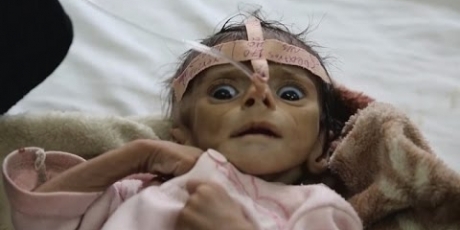 But Yemen’s kids aren’t just starving to death: they are being starved. Deliberately. And our government is one of the biggest suppliers of arms to the coalition doing it. It is time the UK government ceased its support for a Saudi state that terrorises its own people and blatantly violates human rights and fundamental freedoms. Saudi Arabia ought to be treated as a global pariah, following the decision of its supreme court to uphold the sentence of 10 years in jail and 1,000 lashes on Raif Badawi for the crime of expressing the wrong opinions. But there is no sign that this sadistic cruelty is disturbing the close and decades-long friendship between Whitehall and Riyadh. Saudi Arabia is currently the UK’s largest arms export market. It is a nonsense to claim, as ministers do, that this military cooperation is about nothing more than the Saudis’ right to self-defence. The reason we do not arm Iran, Syria or North Korea is that arms sales are inescapably an expression of political support and commitment to regime survival. 4,775 visitors to my site to view, sign and share over 200 petitions. A huge welcome to each and every one of you, thank you for visiting today. Please note that some topics may be upsetting. Also note that I post petitions as and when, so if you subscribe you may receive sporadic updates with many posts on one day or none on another!